With the increasing popularity of plastic surgery, many app developers have come up with plastic surgery apps for Apple’s iPad, iPod and iPhone to help people make educated and informed decisions about future surgical procedures. 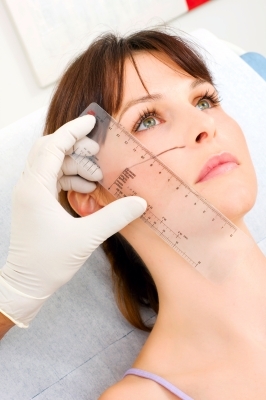 Here is a look at the top 10 plastic surgery apps for iPhone. This is an ideal app if you are considering breast augmentation. It is designed by a doctor and offers a comprehensive breast surgery overview and educates users concerning tried and tested procedures and recovery methods. One can also upload and change photographs to see simulated before & after results. This is a before & after app that lets users watch videos about all things related to cosmetic surgery. In an archive of the finest YouTube cosmetic surgery snips, patients share their individual experiences, outcome of their surgery and let viewers see their beginning-to-end transformations. This app lets you virtually test plastic surgery procedures on your iPhone. Using uploaded pictures you can shape different parts of your body to simulate cheek implants, nose jobs, lip and chin augmentation, jawline contouring as well as a variety of liposuction treatments. This app lets users conduct virtual cosmetic surgery procedures on themselves. Besides, they can take part in live consultations with reputable New York plastic surgeon Dr Kevin Tehrani to know more regarding liposuction and ask for a price quote from his clinics. This app features an assortment of 8,000 before & after surgery photographs from Board of Certified Plastic Surgeons, Dermatologists & Cosmetic Dentists. Also, users can vote on the makeovers they feel were worth it. This app is the latest addition to Decide series by the Orca Health. With advice directly from physicians, the app details info about common conditions which affect the face and aspires to educate people concerning facial conditions. The application also offers a list of plastic surgeons close to the user’s location. This is among the most comprehensive plastic surgery apps detailing the estimated prices of a variety of procedures, which includes IPL skin rejuvenation and plastic surgery and hair removal processes without the call for a consultation. This app also features a collection of cosmetic surgeons in the locality and offers contact links to the clinics of these surgeons. This app offers advice on the latest advice on cosmetic surgery processes and regulations on the safety of the patient. Additionally, users can search a database of trustworthy surgeons and explain the meanings of several medical terms related to plastic surgery. Dr Philip Solomon is among Canada’s leading cosmetic surgeons and a professional in Rhinoplasty. The application features 50 before and after surgery pictures of procedures performed by Dr Solomon, and the Virtual Plastic Surgery tool. Besides, users can contact Dr Solomon straight for advice on which plastic surgery procedure would be the most excellent for them. This is the application for American Society of Plastic Surgeons’ official journal. Almost all people involved in the plastic surgery industry over the past 60 years has possibly accessed the publication for the most current news, discoveries and advancements in the plastic surgery world. Catherine Blogs about the advancements in tablet technology and how it affects her work within Cosmetic Surgery in Perth, WA.